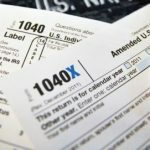 WASHINGTON, January 9, 2014 (NNS) – With the arrival of tax season, service members should begin gathering documentation to file their 2013 taxes, the director of the Pentagon’s office of family policy and children and youth said. In an interview with American Forces Press Service and the Pentagon Channel, Barbara Thompson suggested visiting the Military OneSource website for tax filing resources, and to learn what will be necessary to file, such as W2 forms, Social Security numbers and receipts for deductions such as child care, education, medical expenses and donations, among other write-offs. Filing federal and state tax returns usually results in either a tax refund or money owed back to the government. Expecting to receive a tax refund, but instead finding out that money is owed can be a shock, Thompson said. Looking at W2s to determine how much money in taxes is being withheld is a good indicator of whether or not one will owe money, she suggested. Service members who receive a tax refund face important decisions on what to do with the money, Thompson said.